Over the centuries, Potries was an important nucleus of pottery production, its own name’s origin and meaning relate to this traditional craft. 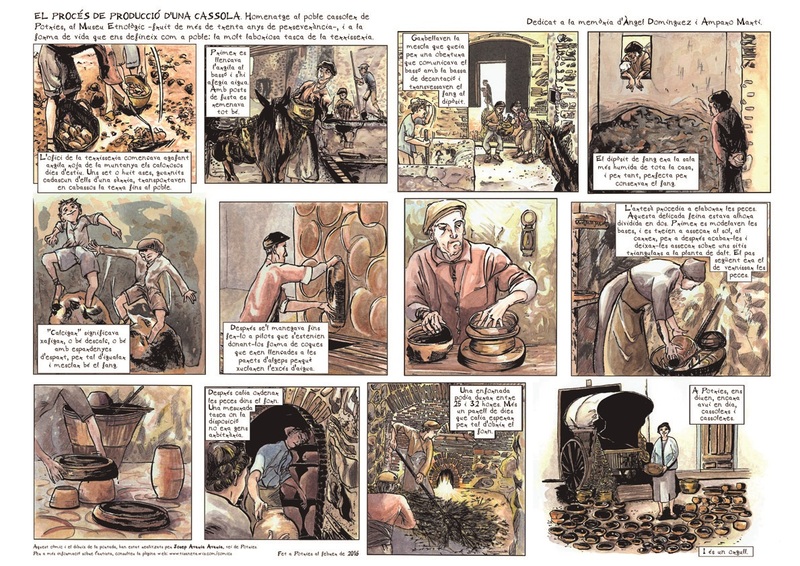 The death of the last active potter, Àngel Domínguez, in the mid-80s, marked the end point of an artisanal activity with a thousand-year history in our municipality, the end of a way of understanding life, of a production and trade system that started to decline years ago. Given the uniqueness of this heritage, the Potries Town Hall acquired the property and started an ambitious programme to recover the memory about pottery production in the town. It is a building of great typological and environmental interest, consisting of a traditional home with a contiguous craft workshop. On the ground floor there is the domestic space, where we can see the traditional kitchen-diner and the sleeping rooms with their original furniture. A part of the ground floor and the courtyard, the entire first floor, as well as an adjacent shed, constitute the workshop area of the building. From tuesday to sunday from 11 a.m. to 2 p.m.